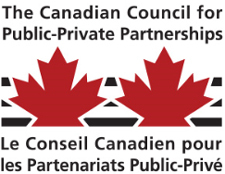 Leslie Pal (reference below) describes the types of public-private partnerships (P3s or PPPs). “There are various models of public-private partnerships that combine risk and resources in different ways. Design-Build (DB): The private sector designs and builds infrastructure to meet public sector performance specifications, often for a fixed price, so the risk of cost overruns is transferred to the private sector. (Many do not consider DB’s to be within the spectrum of PPP’s). Finance Only: A private entity, usually a financial services company, funds a project directly or uses various mechanisms such as a long-term lease or bond issue. Operation & Maintenance Contract (O & M): A private operator, under contract, operates a publicly owned asset for a specified term. Ownership of the asset remains with the public entity. Build-Finance: The private sector constructs an asset and finances the capital cost only during the construction period. Design-Build-Finance-Maintain (DBFM): The private sector designs, builds, and finances an asset and provides hard facility management (hard fm) or maintenance services under a long-term agreement. Design-Build-Finance-Maintain-Operate (DBFMO): The private sector designs, builds, and finances an asset, provides hard and/or soft facility management services as well as operations under a long-term agreement. Build-Own-Operate (BOO): The private sector finances, builds, owns, and operates a facility or service in perpetuity. The public constraints are stated in the original agreement and through ongoing regulatory authority. Concession: A private sector concessionaire undertakes investments and operates the facility for a fixed period of time after which the ownership reverts back to the public sector. See also: Kernaghan’s Classification of Partnerships; Partnerships and Horizontal Management. Operation & Maintenance Contract (O & M): A private operator, under contract, operates a publicly-owned asset (e.g. water/wastewater treatment plant) for a specified term. Ownership of the asset remains with the public entity. Build-Finance: The private sector constructs an asset and finances the capital cost only during the construction period. Design-Build-Finance-Maintain (DBFM): The private sector designs, builds and finances an asset and provides hard facility management (hard fm) or maintenance services under a long-term agreement. Image: University Press of Kansas, Pursuing Horizontal Management – The Politics of Public Sector Coordination, B. Guy Peters (2015), at https://kansaspress.ku.edu/978-0-7006-2093-7.html, accessed 6 April 2017.